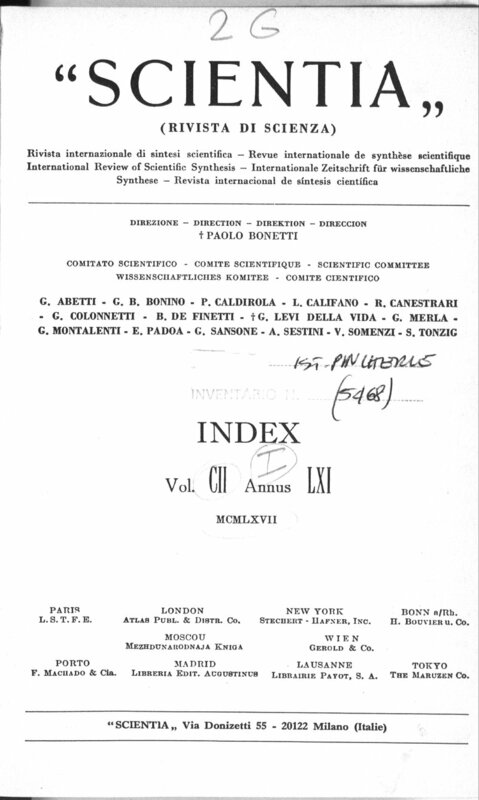 Scientia (International Review of Scientific Synthesis) intends to be a tribute to the historical journal, with the same title and the subtitle Rivista di Scienza (that means Review of Science in Italian), printed from 1907 to 1988. The old journal used to publish articles on every area of science, was multilingual and well known at an international level. Unfortunately it ceased publications in 1988 because science had become too analytical, i.e. the opposite of the synthetic and unified conception of science and of whole knowledge on which the journal was founded (Scientia in Latin means Knowledge in general). 1907 â€“ Founded in Italy as Rivista di Scientia by the mathematician Federigo Enriques and the engineer Eugenio Rignano (both associated with the University of Pisa) and (initially) published by Zanichelli in Bologna. 1910 â€“ Title name changed to Scientia, while Rivista di Scienza remained as a subtitle. 1910-1940 â€“ Many important scientists, mathematicians and philosophers wrote papers for Scientia, such as Einstein, Lorentz, Poincaré, Mach, Rutherford, Freud, Peano, Russell, Golgi, Eddington, De Broglie, Heisenberg, Fermi, Carnap, and others. 1940-1945 â€“ The journal inevitably lost much of its international importance and support from abroad after Italy entered World War II, in 1940. 1963 â€“ The publisher Zanichelli left the journal, even though it was mentioned in the front page until 1966 (but disappeared since 1967). 1988 â€“ The continuous tendency of science towards specialization in its different fields, contributed to the further decline of Scientia, that had to end publications. 1996 â€“ A few researchers and students associated with the University of Pisa founded Istituto Scientia (Scientia Institute) as a cultural association,Â intending to be a clear tribute to the old journal. 2002 â€“ Istituto Scientia was incorporated as a non-profit organization in Massa, near Pisa, and also became a small publisher, printing a few books under the name Saggi dell'Istituto Scientia, managing ISBN codes 88-900878-X-Y. Istituto Scientia has also conducted scientific research, with a synthetic and holistic conception of physics, physiology, biology, psychology, etc. 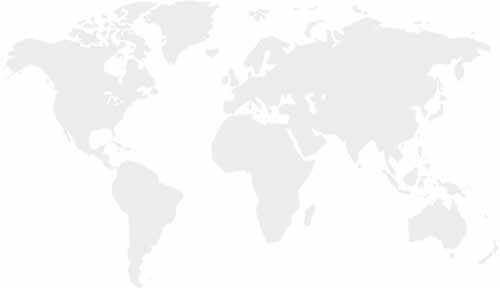 and has published some papers on international peer-reviewed journals. Details are reported on istitutoscientia.it and eeg.it. 2013 â€“ In February Istituto Scientia started this e-journal, with no print version (yet) but trying to keep alive the spirit of the old journal. The number of the first volume is not 1, but 124, ideally continuing the history of Scientia, since the last volume published by the old journal (1988) had been no. 123. Note. It is prudent to remind that a new journal has the legal rights to get the same title of an old one, two years after the old one has ceased regular publication, as stated by the Italian copyright law on periodicals (law 633/1941, art. 100, par.4).